How does whym actually work? As we begin to launch our translation for travel app into the world, more and more people are asking: but how does the app actually work? The idea is great, but how is it possible to connect me, calling from Spain, to a live (human!) interpreter based in Japan by just one click of a button? The answer is indeed magic, but we’re willing to reveal the secret just this once. The idea of whym is simple: we connect travellers and businesses all over the world to a professional human interpreter within 60 seconds via a click of their smartphone. The technology behind it, however, – a technology that took 6 years to perfect (read why here) – is not so simple, but we’ve broken it down into 3 key magical steps. 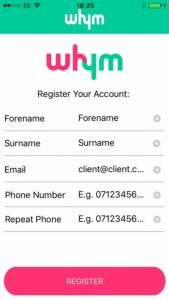 Once you’ve downloaded the app, we ask you to register 3 details: name, email and phone number. We ask for your email and your name so that we can communicate with you if we need to. The most important detail here, though, is the unique mobile number that you’re going to be using to make the phone calls to an interpreter- i.e. the phone that you downloaded the app on. We use “Caller Line Identification” (CLI) to identify who is calling our interpreters. This way we know how many Interpreter minutes you have left on your account without needing to ask you for a PIN or password. If there are less than 2 minutes remaining on your account (all accounts start off with 10 minutes), we ask you to top up before trying to connect to an interpreter. 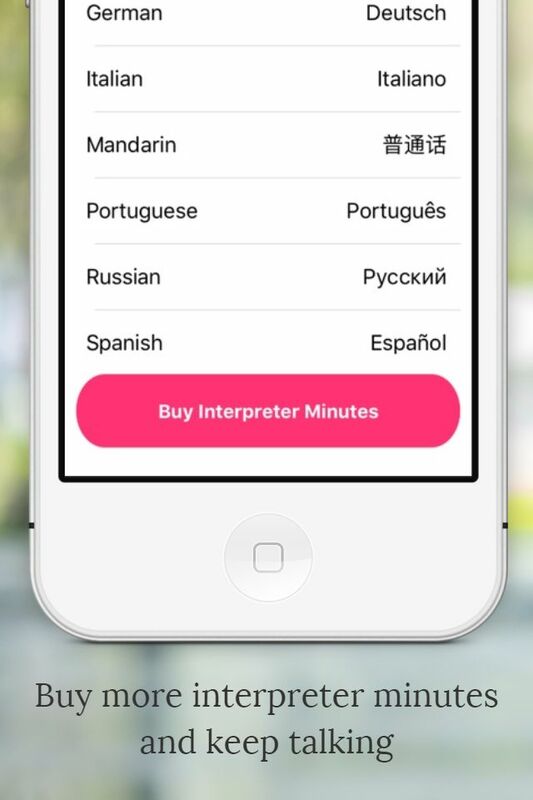 You can do this by clicking the “Buy Interpreter Minutes” button, which takes you to the App Store or Google play where you’ll be asked to confirm if you wish to make an In App purchase. Ok, so now whym knows who you are and how many minutes you have, but how does it know which language and interpreter to connect you to? 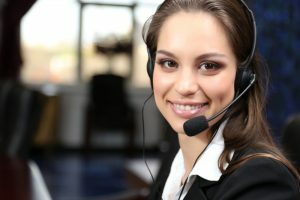 The technology that supports our app is provided by a database called InterpretersPortal, where 2,300 of the world’s best freelance interpreters are registered with a unique phone number just like yours. InterpretersPortal ensure that there are enough interpreters logged on (24/7!) 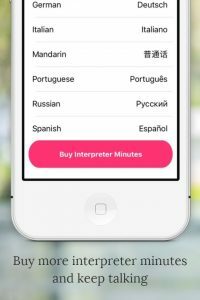 and available to take your call in all of the 13 languages offered in the app. 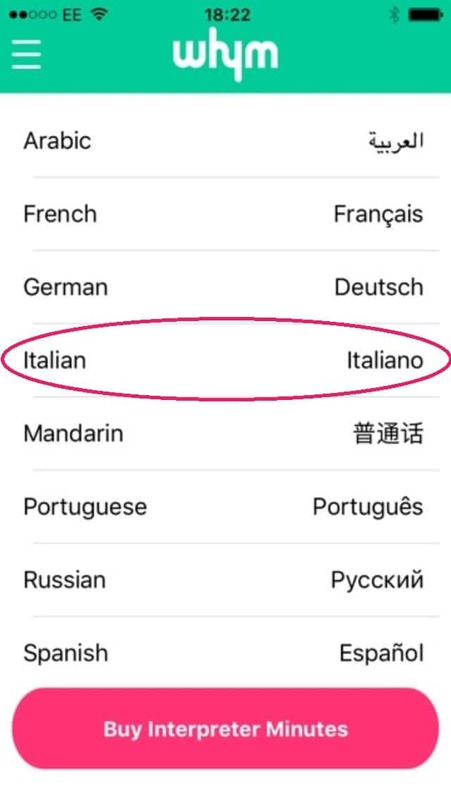 Each one of our 13 languages connects to the dedicated phone number for the language you requested, so we don’t have to ask you to input a language code. We already know it. All we ask is that you press one button. Yes, just one. Why? Because when you’re in a stressful situation, anything more than one click between you and your interpreter is a click too much. Let’s say you need an Italian interpreter. 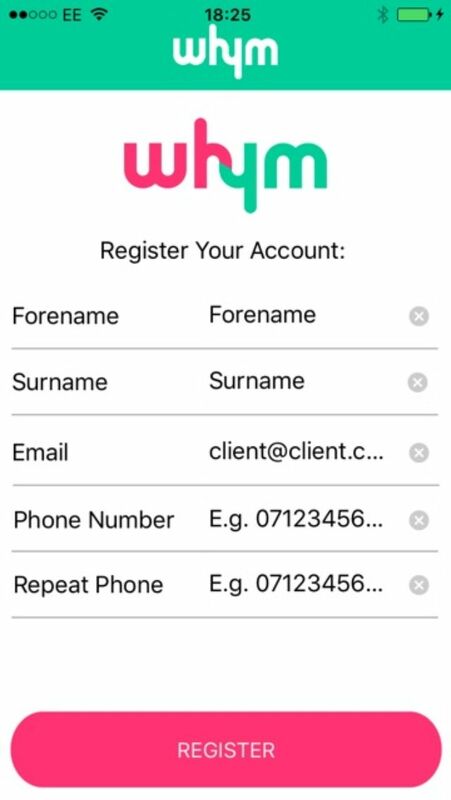 You would simply tap Italian on the app, and, providing you have more than 2 minutes on your account, whym will make an outbound call from your phone to the number attached to one of our Italian interpreters on the platform. 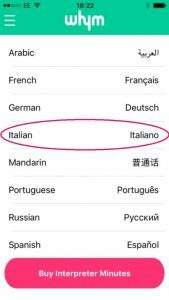 So you click Italian, but what if that Italian interpreter is already taking a call? How do we ensure that our service really is 24/7? InterpretersPortal have a long list of interpreters and their contact numbers. The system calls the number at the top of the list and allows that interpreter’s phone to ring 3 times waiting for them to answer. If they don’t answer within 3 rings, whym will recognise that there is a problem and will try the next interpreter on the InterpretersPortal list. As we aim to offer this service 24/7, the system will scan the database until it finds an interpreter that can take your call no matter what time of the day it is. When an interpreter answers the phone, whym tells them that you are looking for an interpreter and asks them to press a key on their keypad to accept the call. As soon as they do, we connect them to you. Job done. And all of this in under 60 seconds..? Yep; it’s making us tired just thinking about it. In less than 60 seconds, the technology behind whym has recognised who you are, how many minutes you have left, what language you require and which professional interpreter is available to take your call. All of this and only one click of a button from you. Ta-dah! If that’s not magic then we don’t know what is.